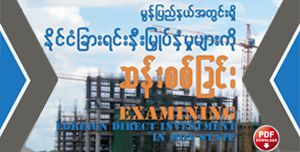 HURFOM: Last Friday, the highly anticipated Foreign Direct Investment (FDI) law was adopted by the Union Parliament in Burma, also known as Myanmar. 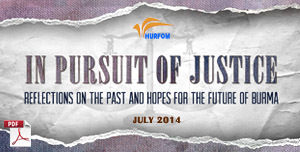 The law’s drafting process drew spectators from around the world, with economists, policymakers, lobbyists, academics, and political commentators weighing in almost daily to deliberate on Burma’s investment possibilities and pitfalls. 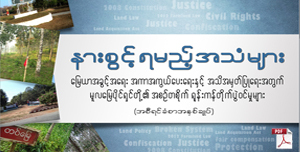 Now, with the law only needing President Thein Sein’s signature to pass, many eagerly await the final outcome and its significance for the country’s people and economy. Ideally, a welcoming, fair, and realistic FDI law will greatly benefit Burma after decades of economic isolation and conflict, setting the stage for a positive investment environment and encouraging inflows of capital, technology, and much-needed skill building. Foreign direct investment is an opportunity to foster and strengthen relationships—inviting new partners, developing collectively beneficial business, and sharing knowledge across the public, private, and civil society sectors. However, there are substantial concerns about the type of development and finance this new law may invite, and in some ways, the debate surrounding the lengthy FDI drafting process inflated the perception of the law’s ability to protect or harm individuals and small enterprises. 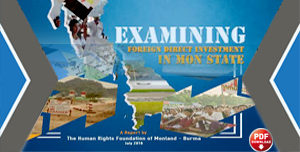 Just as foreign direct investment is not the solution to all of the country’s problems, the FDI law cannot realistically provide all of the protections that Burma’s people and resource-rich areas need without spooking shareholders or reducing the attractiveness of the investment climate. 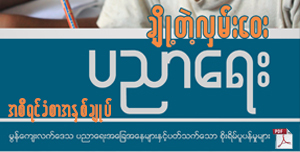 For this reason, it is important to note that HURFOM continues to receive reports from villagers around southern Burma alleging land confiscation and forced labor by local government or military, displacement and environmental damage due to large-scale development projects, and insufficient access to quality education resulting in low levels of skilled workers. One law alone cannot remedy these violations, and an authentic commitment to equitable growth will look at the entire legal and policy framework. Several of the country’s other laws, including those approved since 2010, deserve analysis to identify and root out limitations that prohibit average people from enjoying new economic activity. For example, the Labour Organization Law, Farmland Law, Peaceful Gathering and Demonstration Law, and Electronic Transactions Law restrict many people’s ability to freely develop their livelihoods and openly share information. While the government is responsible for ensuring unbiased and transparent investment practices that support local participation, civil society also has an obligation to assist and inform the investment process. NGOs and CBOs should assume the vital role of monitoring and reporting the impact felt in communities touched by capital inflows, assessing issues such as corporate conduct, job creation, ability to make informed decisions, poverty, the environment, and ethnic or gender discrimination. 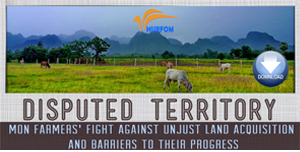 Non-governmental organizations can spearhead local awareness campaigns and distribute informational materials about economic opportunities and rights related to land, livelihood, and labor. Additionally, the international community should not fail to maintain its role as an advocate for accountability and democratic reform in Burma. Regardless of the provisions in the final FDI law, countries must implement their own protective guidelines to ensure that their national companies investing in Burma are committed to boosting the overall standard of living, not profiting from illegal transactions or aggravating ethnic conflict. Investment in Burma must promote sustainable development, transform conflict-affected areas, and nurture lasting social stability. It would be an enormous disappointment, at a time when the world is longing for a post-conflict success story, if foreign capital merely props up long-time cronies and maintains the vast divide between rich and poor, educated and unskilled. 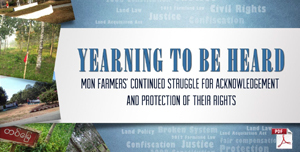 The local people in Burma who resist foreign influence are not fearful of economic growth, but are responding to a long history of land confiscation, displacement, prejudice, violence, and repression that they hope to never experience again.